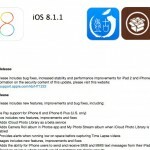 Home › Cydia Download › Cydia is now stable on iOS 8, Harry to download..! Are you still not jailbreak & install Cydia for your iOS 8-8.1 device yet..?? This is your opportunity for that. Cydia has stabled on iOS 8 now. Cydia developer, Saurik says, the jailbreak platform is stable enough: Pangu 1.2.1 update with Cydia installer version 1.1.16, to download & install on iOS 8-8.1 Also Saurik open the Cydia Store to the public. Now you can buy jailbreak apps & tweaks for your device from Cydia on iOS 8. Saurik has invited to Cydia vendors to mark their products as iOS 8 compatible. An other side, Pangu has released Mac version for iOS 8.1 jailbreak & with that update, you are able to jailbreak iOS 8 with Pangu8 for both Window & Mac platform. 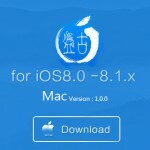 ‹ Pangu iOS 8.1 jailbreak for Mac Released.